If the person has not engaged in regular dental care, they likely have not established a relationship with a dentist, and this forces them to seek care at an emergency department or urgent care facility, which can only put a “band-aid” on the immediate problem – treating pain or infection – but does not provide any long-term solution to their poor dental health. Another barrier to good oral health is not having the financial ability to access a dentist. Not all companies offer dental coverage, and if it is offered, it is usually an additional cost above and beyond the person’s health insurance coverage. This may make it cost-prohibitive for the person and his/her family. Medicaid will pay for dental care, but not all dentists will accept Medicaid insurance. Outcomes from poor dentition can be far reaching. Children have had to go to the operating room and undergo anesthesia due to extensive dental caries; serious infections requiring hospitalization and intravenous medications with resultant disability and loss of school time have occurred. What are strategies or programs that could help improve the oral health of our children? One suggestion is for schools to provide oral health days; hygienists or student hygienists could go to schools and provide cleanings and talk about proper oral hygiene. Another suggestion would be to pass out new toothbrushes and toothpaste to children twice a year at school as well as providing time for children to brush their teeth after lunch. Another idea is to mimic local grocery store programs that give backpacks with school supplies to children; why not expand that to oral health packs with toothbrushes, toothpaste and floss? Small but significant changes to the oral health of children could have major impacts on all facets of their lives, including success in school, better self-esteem and improved health as an adult. Rebecca Roloff is a nurse practitioner at Oishei Children’s Hospital’s emergency department as well as a clinical adjunct professor at D’Youville College. Come on, admit it. You’ve suffered from bad breath. Everyone has. It’s one of life’s most common annoyances. The good news is we can do something about it. But first, you need to know where it comes from. Bad breath starts with what you put in your mouth. Garlic for lunch? A late-morning latte? They may taste delicious, but consider yourself warned. 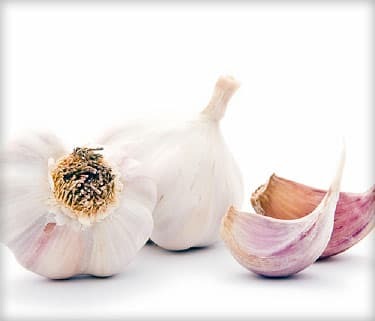 Food you eat: Although garlic and coffee are two main offenders, other eats like onions and spicy food also can bring on bad breath. The odors of these foods enter your bloodstream and head right to your lungs, coming out with each exhale. Food “trapped” in your mouth: We’re not talking about just a little spinach on your teeth. After a meal, any food particles that remain between your teeth, in your gums, or on your tongue can release their odor into your breath — which gets worse as that food decays. And without good care of your teeth and gums, this stuck food can set off a cascade of events leading to gum disease. Lose Your Teeth and Your Mind? “As the numbers of people with Alzheimer’s disease and other cognitive disabilities increase, scientists are investigating how these conditions may be related to oral health. After evaluating available research, the International and American Associations for Dental Research concluded that individuals with fewer than 20 teeth face a 26% greater risk of cognitive decline and 22% greater risk of dementia.